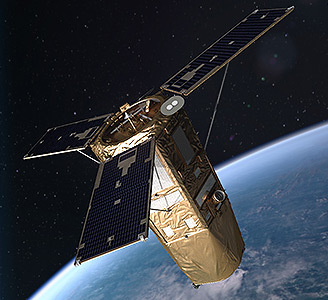 KOMPSAT 7 (Korean Multi-purpose Satellite 7) is a lightweight Earth observation satellite developed by the Korea Aerospace Research Institute KARI. Scheduled to be launched in 2021, KOMPSAT-7 is the follow-up model of KOMPSAT-3A. It is being developed with the goal of providing high-resolution satellite images to satisfy the national needs. The spacecraft bus is being developed with Korean technologies under the leadership of Korean companies. Also the Korean companies are participating in the development of the payload which is developed by KARI promoting the capabilities of domestic satellite industry. KOMPSAT-7 will be equipped with the high resoultion sapceborne camera named AEISS-HR (Advanced Earth Imaging Sensor System with High Resolution), which possesses 30 cm resolution in panchromatic mode, 1.2 m in color mode, and 4 m in infra-red mode. Launch is planned for 2021 on a Vega-C from Kourou.